In his wonderful book “How they do it” about free jazz, improvisation and electronic music the German author Felix Klopotek claims that this music should not be measured in categories of constantly creating something new but whether it remains open to new musical and artistic developments, whether it is able to integrate new developments and whether it inspires, fuels and challenges new musical discourses. If you combine this idea with Evan Parker’s notion that his music is about constantly exploring known territory towards the margins before you look out at something new and that this is the point where you have to let go and step out to expand your musical territory, then this is what the Electro-Acoustic Ensemble is about. Evan Parker’s Electro-Acoustic Ensemble (EAE) was founded in 1992 and it is the embodiment of both genre and individual history. 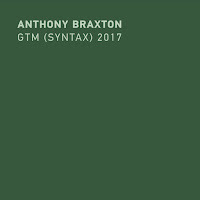 It was conceived as an expanded version of his group with Paul Lytton and Barry Guy, but when he founded this trio twelve years earlier, the group itself was an expansion of the Parker/Lytton duo, formed in 1969. 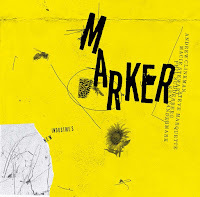 On EAE’s first album “Towards the Margins” (1997) – a programmatic title - each member of the original trio was given a technical/musical partner (Walter Prati, Marco Vecchi, Phil Wachsmann) who would treat his sounds electronically. Challenges arising from the changed acoustic conditions had to be dealt with by improvised means. In the liner notes Prati said about EAE’s philosophy: “If playing electronics simply means “soloing” on ring modulators or synthesizers or samplers, the relationship to conventional instruments is uncontroversial. But if electronics means the transformation of sound, the problem is larger. In the work with Evan, the goal was to realize an electronic instrument capable of capturing the sound of the natural instrument and transforming it through Digital Signal Processors.” This means that EAE members responsible for sound processing can simultaneously decide whether to transform each conventional instrument or to play electronics with material already sampled. On “Drawn Inward” (1999) Lawrence Casserley joined the EAE and he was able to process and transform the inputs of all the other members using pre-recorded stuff as well. Over the next three albums “Memory/Vision” (2003), “The Eleventh Hour” (2005), and “The Moment’s Energy” (2009) the whole thing became more adventurous but also more complicated due to the fact that EAE has grown to 14 members on “Hasselt”. 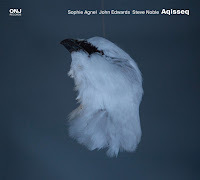 The band on this album is Peter Evans (trumpets), Ishikawa Ko (sho), Ned Rothenberg (clarinets), Peter van Bergen (clarinets), Evan Parker (soprano saxophone), Agusti Fernandez (piano), Barry Guy (double bass), Paul Lytton (percussion, live electronics), FURT (Richard Barrett, live electronics; Paul Obermayer, live electronics), Joel Ryan (sample and signal processing), Walter Prati (live processing, computer processing), Lawrence Casserley (signal processing instrument, percussion, voice), Marco Vecchi (sound processing, sound projection). 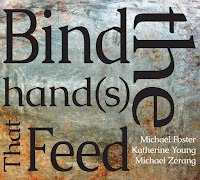 While the former albums always saw the whole ensemble performing, the first track here, a gloomy introduction of piano, sho and electronic feedback, is played by Ko, Fernandez and Prati; the second one, a brutal and hectic piece, by Guy, van Bergen and FURT, and the third one by Ko, Fernandez, Evans, Lytton and Rothenberg, which is almost a classic free jazz piece. All three tracks are completely improvised and only on the fourth track the whole ensemble is playing using a “sequence of overlapping combinations fixed in advance, each of which played separately the night before”, as Parker puts it in the liner notes. It is awe-inspiring to see the group grow on one album from a trio to full ensemble - some kind of ensemble history in a nutshell. And no matter what line-up we are listening to - the music is fascinating – it is diverse and the musicianship is simply great. The musicians are piling up layer after layer of sounds, and although the musical atmosphere created is hard and sometimes even grinding, you can feel a beauty underneath based on communication and imagination. 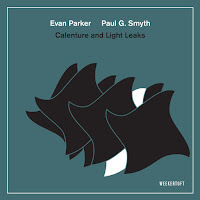 I would like to add Evan Parker's "SET" (psi 09.09. )which was released on PSI in 2009. 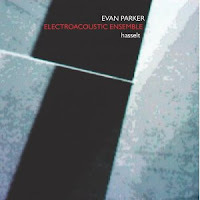 Parker decided not to label it "Electro-Acoustic Ensemble" but it fits neatly in to this remarkable series of albums. Hi Guy, are the other pieces available somewhere?